It’s an old cliché in politics to “follow the money.” Unfortunately, it’s almost always true when it comes to the support of controversial bills. In fact, all you need is $100k per senator to buy support for PIPA, the Senates version of SOPA. 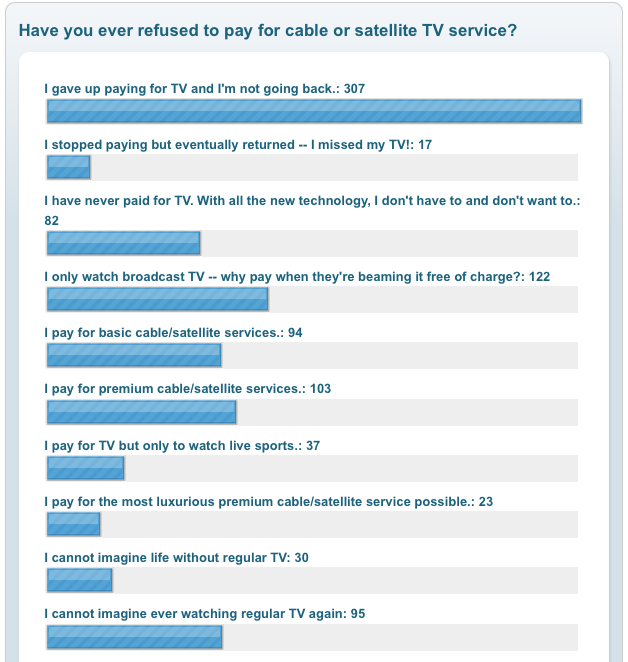 It’s a small price to pay for controlling how the Internet works in the United States. If you’re still unsure what exactly SOPA is, check out our comprehensive article on the bill. Above are the senators that received in excess in $100,000 in campaign contributions from the Movie, Music, and TV industry. Oh hey, they all support PIPA. These numbers were compiled by ProPubilca. The funny thing about anti-trust cases against technology businesses is that technology businesses may sometimes monopolize a platform – but the platforms they monopolize are always on fire. In the 1990s, Microsoft came under attack because Windows dominated the PC. But then the Internet made the operating system you use to access it from your PC irrelevant. Now Google is getting scrutiny in Washington and in Europe because it owns so much of the search market. But did you know that you hold the end of Google search is already in the palm of your hand? Google makes money because people search the Web for stuff they want to buy (or for information about stuff they want to buy). Google brings them back a list of Web pages and ads. The ads are often as relevant to these commercial Web searches and the links, and so users click on them, ringing Google’s cash register. But here’s the thing. I buy lots of stuff on the Internet, almost. I buy groceries. I buy movie tickets. I buy plane tickets. I book golf tee times. I order pizza. I buy Christmas presents from Amazon. Google doesn’t take part in any of the transactions at all. 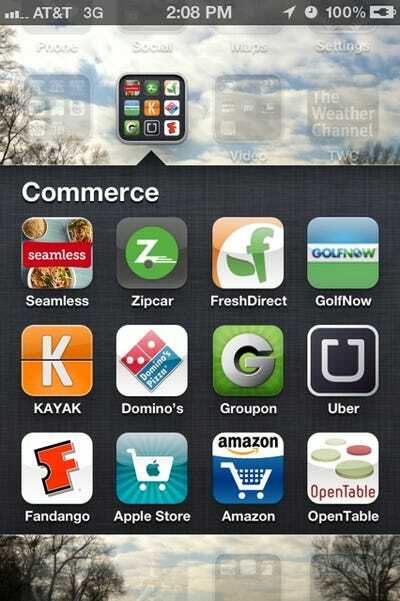 That’s because I do all this commerce not through the Web or through Google search; I do it through apps on my phone. 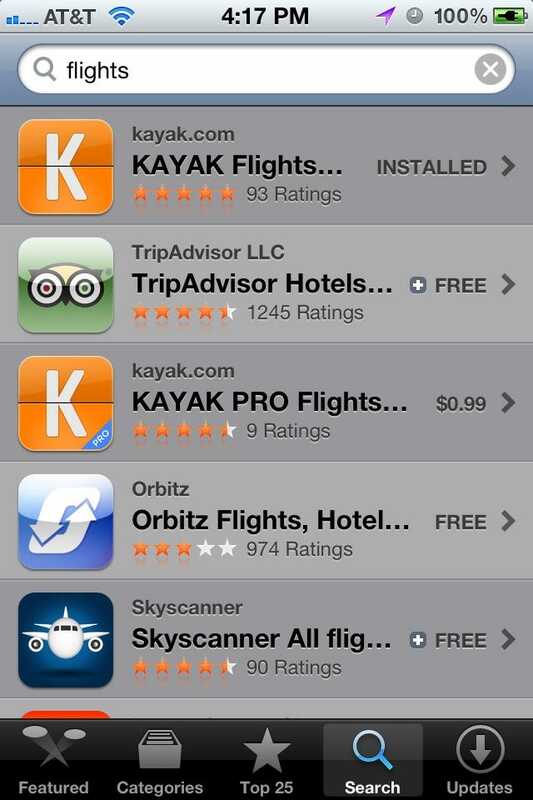 Now, at some point, I do search for these apps, just like I would search for Web pages. But I don’t use Google search to find them. I use Apple’s Apple Store. My search results look like this. Right now, Apple isn’t showing any ads in them, but that’ll change. When it does, it will mean less money for Google ads. The good news for Google is that its mobile operating system, Android, owns a healthy slice of the smartphone market. It will be able to put ads in its own app store. The bad news is that share is much smaller than its market share in search, where it also faces much weaker competition. THE APPLE INVESTOR: Is Apple Seriously Going After Microsoft’s Kinect? Despite all the hype around Netflix streaming, and Apple’s iTunes movie store, the fact of the matter is that the physical disc is still the king of home entertainment, Dan Frommer at SplatF reports. 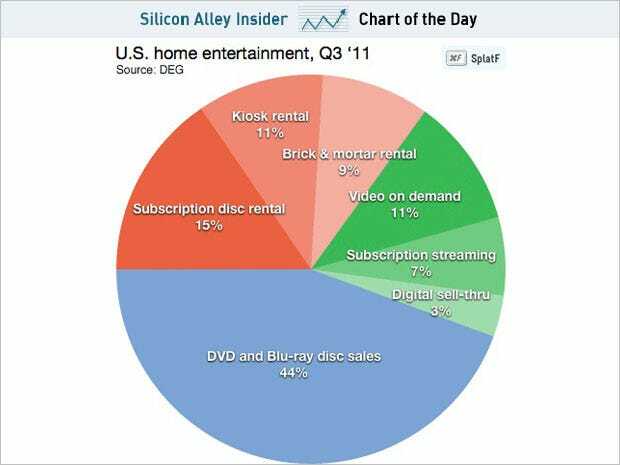 As you can see in the chart below, digital streaming/sales only accounted for 19% of the home entertainment market in the third quarter. The rest of sales comes from DVD/Blu-ray discs. As Frommer points out, this means there’s still plenty of room for growth for Netflix, Apple, Microsoft, Facebook, and others to attack the market. 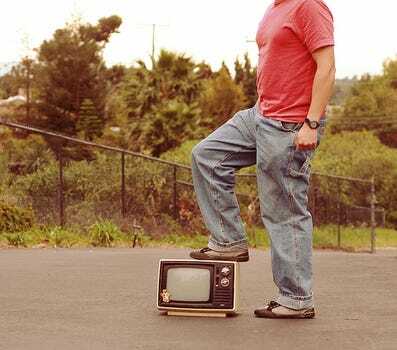 THE GOOGLE INVESTOR: The TV Race Is On! Over on Netflix’s official blog, company head Reed Hastings has announced in a surprisingly humble blog post and video (embedded after the break) that it’s splitting the DVD-by-mail business away into a new venture dubbed Qwikster. While the recent price changes already split the cost for each service, when this takes effect in a few weeks it will result in two different websites, two different sets of movie ratings and queues, and two different charges on customer’s bills. He admits two separate sites may make it more difficult to manage a presence on both, but says dropping the need for compatibility between the two will enable new features to balance that out. Another change? 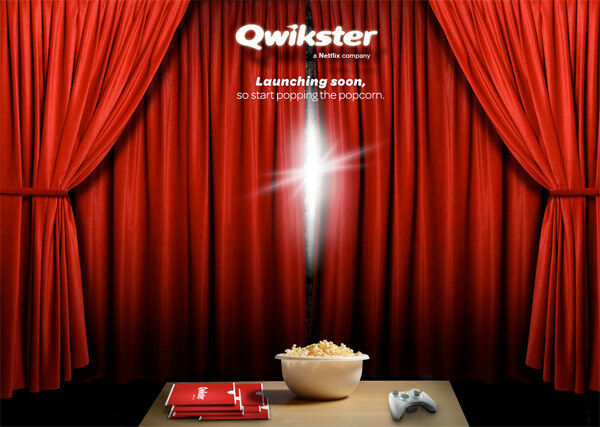 Netflix Qwikster (is there anything good about that name?) 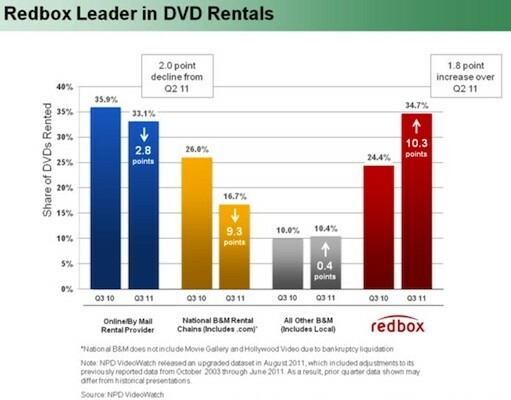 is getting into video game rentals, available for an extra charge similar to the existing Blu-ray disc option. While the blog post blames a lack of communication for much of the backlash (and obviously cancellations), it’s about to become very clear that Netflix is “primarily a streaming company.” Also mentioned is “substantial” additional streaming content coming in the next few months. Whatever the company calls itself, charges, or changes on its website, if Netflix wants to talk its way back into subscriber’s good graces, starting with something new to watch is the way to do it. Netflix spins DVD-by-mail service off into Qwikster, says it’s ‘done’ with price changes (video) originally appeared on Engadget on Mon, 19 Sep 2011 00:33:00 EDT. Please see our terms for use of feeds. If you’ve just casually glanced over the mass reactions to Reed Hastings’ decision to split the DVD-by-mail business of Netflix into its own brand and company, you’ve probably been duped into thinking that it’s the second questionable move that the world’s most famed movie delivery service has made this year. But is it? 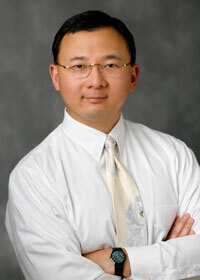 Is a man who turned a red envelope into a symbol of near-immediate gratification really a moron? Did he really just bury the company he worked tirelessly to create? I highly, highly doubt it. Knee-jerk reactions are always fun to watch, but they’re rarely on-point. As with most things in life, the truth usually resides somewhere in betwixt the extremes. And in the case of Qwikster — the DVD-by-mail service that precisely no one asked for — the truth is hiding in exactly the place that Reed said it’d be: the future. Editorial: Reed Hastings’ Netflix spinoff isn’t about DVD success, it’s about hedging the stream originally appeared on Engadget on Mon, 19 Sep 2011 02:19:00 EDT. Please see our terms for use of feeds. Starting with Shrek Forever After, three AMC theaters in New York will begin selling $20 adult movie tickets on their IMAX screens. Even for a loose-moneyed film buff like me, that’s just too much. After The Dark Knight, the industry realized just how much IMAX ticket prices could bolster profits. After Avatar and Alice In Wonderland, the same proved true, along with the enticement of 3D. So a more extreme version of gouging begins at theaters. And just as the public cried about $10 movie tickets while continuing to flood the theaters in droves, many will still pay $20 to see the latest Shrek, complaining about it until they forget that the world was ever any different. But you know what? I won’t, not now or in the near future. And I’m about as fiscally irresponsible and movie obsessed as idiots come. That’s a bad sign for movie theaters and studios alike, as it means the more sane amongst you will bail on theaters for sure (if you haven’t already).